And let's just say, they were excited. Take a look at these quotes and unboxing videos for a few reactions. Don't forget to follow each ambassador to see what they make this year! 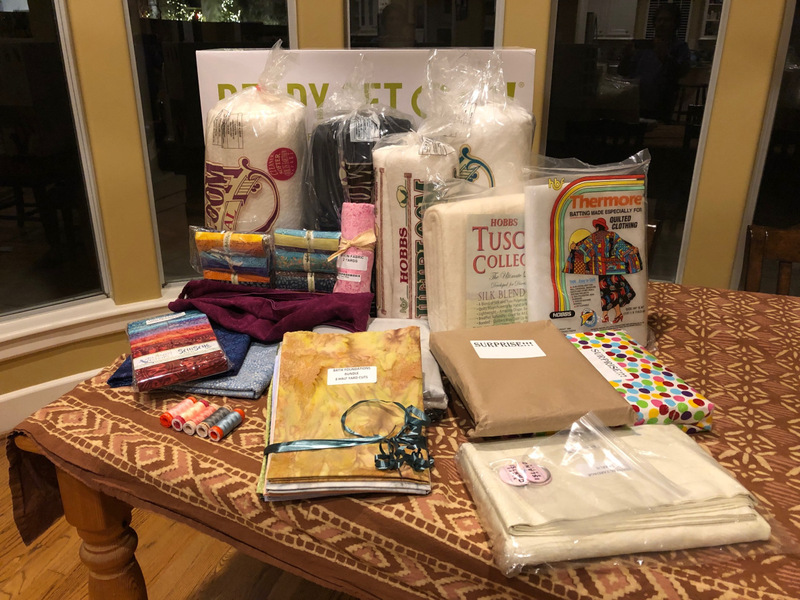 “We were each sent an AccuQuilt GO! cutter. With this, I’m going to be able to design quilts and cut them in minutes. This is really, really, really cool! 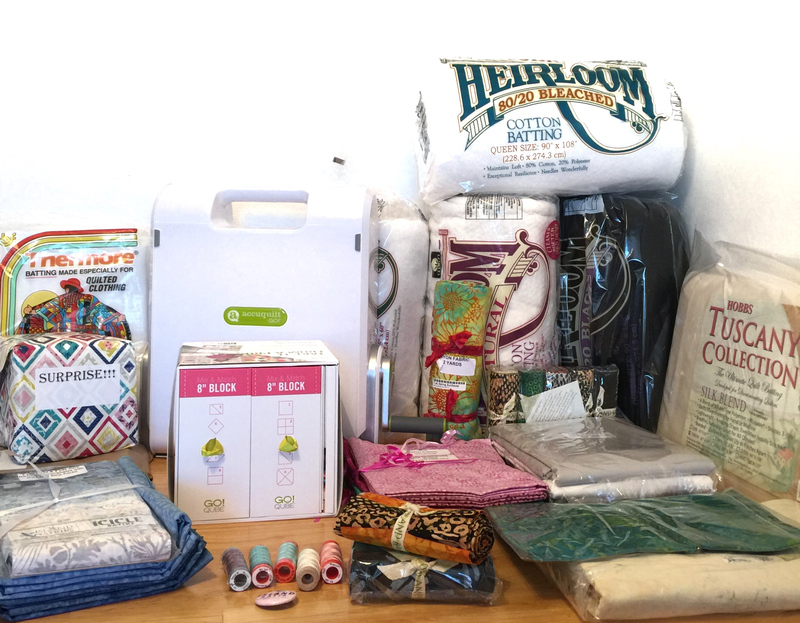 Find Jennifer on the Inquiring Quilter blog, Instagram, Facebook, Pinterest and Twitter. Find Connie on Kauffman Designs Blog. Find Kim on the Persimon Dreams Blog, Instagram, Facebook, Pinterest and Twitter. Follow Barb on the Bejeweled Quilts Blog, Instagram, Facebook and Pinterest. 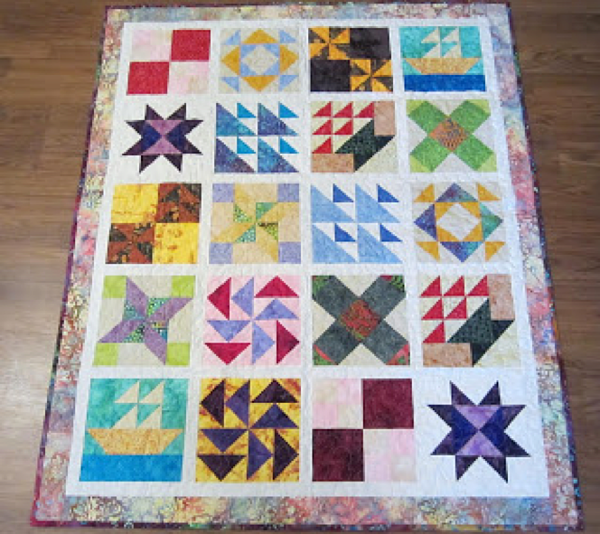 Find Vicki on Vicki's Crafts and Quilting Blog. Find Jackie on the If these Threads Could Talk blog, Instagram, Facebook, Pinterest and Twitter. Find Dione on the Clever Chameleon Blog, Instagram, Facebook and Pinterest. "Oh my goodness. I had to try this out right away." Find Carla on the Creatin' in the Sticks blog, Instagram, Facebook and Pinterest. Find Denise on the For the Love of Geese Blog, Instagram, Facebook and Pinterest. Find Bill on the Studio Bill Locke Blog, Instagram, Facebook, Pinterest and Twitter. Find Jennifer at the Curlicue Creations Blog, Instagram, Facebook, Pinterest and Twitter. Find Jennifer on the Dizzy Quilter Blog, Instagram, Facebook and Pinterest. “You would think we are done, but there was one more box! This one that came, was quite a shock! It's nothing I ordered, oh what do I do? Find Joan on the Moosestash Quilting Blog, Instagram, Facebook and Pinterest. Find Pamela on the Pamela Quilts Blog, Instagram, Facebook and Pinterest. Find Gene on the Gene Black Blog, Facebook and Pinterest. "This machine comes with it own little dust bag! also inside the box was the 8″ GO! Qube, with a bunch of different sized dies, a 2.5″ Strip Cutter die and a pattern book. This machine literally cuts the perfect square/half square triangle and I can't wait to play with this some more!" Find Joanne on the Unicorn Hart blog, Instagram and Facebook. “I’ll admit, I did a little schoolgirl hopping and squealing. 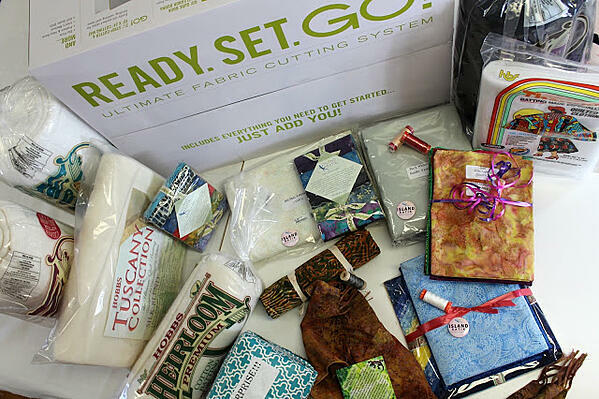 I’ve been a fan of AccuQuilt from the beginning." Find Anne on the Seams like a Plan blog and Facebook. Find Vasudha on the Storied Quilts Blog, Instagram and Pinterest. Find Tish on Tish's Adventures in Wonderland blog, Instagram, Pinterest and Twitter. Find Steph on the Steph Jacobson Design Blog, Instagram and Facebook. "I'm already in love with this machine!" Find Alison on the Little Bunny Quilts Blog, Instagram and Facebook. "It's awesome, awesome! Thank you!" Find Carolina on the Carolina Assmussen Website, Instagram, Facebook, Pinterest and Twitter. Take a look at what's in the Ready. Set. GO! thanks to this video from Becca! Find Becca on the Pretty Piney Quilts Blog, Instagram, Facebook, Pinterest and Twitter. How many quilts do you have planned this year? Tell us in the comments and be sure to follow the Island Batik Ambassadors! We can guarantee you will see some inspiring ideas and get amazing advice for your own quilting projects. Want to experience AccuQuilt for yourself? Follow this link to get your very own AccuQuilt Ready. Set. GO! Topics: Island Batik, Ready. Set. GO!